UNESCO reports that 52.2 million girls of primary to upper secondary school age in sub-Saharan Africa don't go to school. This has devastating consequences for themselves, their families, and society. Educating girls and young women is a crucial driver of social change and economic development. It reduces their likelihood of becoming teenage mothers and of contracting HIV/AIDS, empowers them to resist gender-based violence and discrimination, increases their future income, and even reduces their community's contribution to climate change. In 1991, Welsh teacher Ann Cotton visited Zimbabwe to find out why so few rural girls were attending school. Two years later, she met Angeline Murimirwa. Angeline's parents were subsistence farmers who struggled to make ends meet. Angeline recalls going to school in a torn dress and joining her mother in working in other people's fields to earn money. Angeline gained the best possible results in her final year at primary school. However, she and her family could see no way of affording secondary school. Cotton found that for Angeline and many girls like her the main obstacle to educational access in poor communities was not cultural norms, as was commonly believed at the time, but the cost of sending children to school. Girls are the first children to be taken out of school when there's no money, and early marriage rapidly follows. Cotton recognized this, and in 1993 set up the Campaign for Female Education (CAMFED) to support marginalized girls to "go to school, succeed, and lead". One of the first girls to benefit from the new organization was Angeline, who received a bursary that paid for her schooling, her uniform, shoes and equipment. Now, Angeline is Camfed's executive director in Africa, and in 2017 she was included in the BBC's list of the 100 most influential women. Working with multiple stakeholders in Ghana, Malawi, Tanzania, Zambia and Zimbabwe, CAMFED helps remove the kind of obstacles to girls' education that Angeline experienced and improves educational quality and outcomes. Beyond the classroom, it helps young women to become financially independent and entrepreneurial, take on leadership roles, and live sustainable lives in their communities. Supported by more than 230,000 unpaid local activists in the communities in which it operates, CAMFED is cost-effective, achieving the equivalent value of up to 2.4 years of extra schooling per $100 spent. In 2014, the OECD's Development Assistance Committee described CAMFED as "a model of best practice in taking innovation to scale". That year, Ann Cotton also won the WISE Prize for Education for the innovation, scale and impact of CAMFED's programs. CAMFED holds itself accountable to the girls, women and communities it works with. The model is built on a long-term commitment to communities, steadily building their capacity to support girls' education. In 2017 Camfed's rural African partner communities provided the equivalent of $9.4 million in resources to support girls' education. These communities take the lead in designing and implementing the programs. At primary level, for example, school-based committees decide on how to use CAMFED funds to support the most vulnerable young people. At secondary level, the communities themselves decide which girls need CAMFED's financial support with school fees, uniforms and materials, etc. This helps a critical mass of girls to stay in secondary school and normalizes female education. CAMFED also trains the community's teachers to provide children with social and emotional guidance. Across all of its activities, CAMFED uses Salesforce's CRM software to trace how donations have been used to support each girl or young woman. It conducts regular surveys using mobile phones and tablets and uses no fewer than 57 KPIs to capture quantitative metrics – such as the number of girls supported – and qualitative outcomes. In line with the UN's Sustainable Development Goals, CAMFED has broadened its reach from educational attainment to learning outcomes and employability. Together with the 120,000 members of CAMA, its alumnae network (comprising girls who have graduated from secondary school), CAMFED supports children in secondary education with initiatives to improve their learning outcomes and their wellbeing, with CAMA also providing vital mentors and role models. Angeline Murimirwa was quick to recognize the value of this kind of support to girls who – just like her – could otherwise drop out of the education system altogether, and was one of the key founding members of CAMA. Nearly two decades later, she accepted her Diamond Ball Honors Award on behalf of 100,000 Camfed alumnae members. Accepting the award, she noted: "Young women who, like me, without Camfed's financial support would never have had the chance to go to school. They are my sisters and together we are educating the next generation." 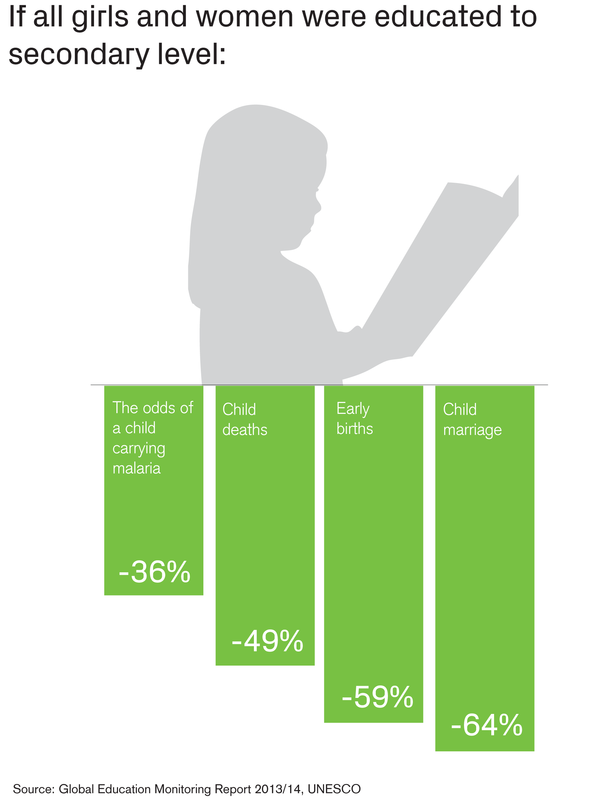 The six months after a girl completes her secondary education are critical. Here again, CAMA plays a critical role. Funded by partners including the UK Department for International Development, the alumnae deliver peer-to-peer support, training and even small seed grants for young women in rural communities to start their own businesses. Funding from Credit Suisse and the Mastercard Foundation, and support from the likes of Pearson and the micro-lender Kiva.org have helped CAMFED to provide support for tertiary education, finance for business growth, and leadership programs. Since the early days in Zimbabwe, CAMFED has directly helped more than 2.6 million children to access primary and secondary education, and more than 5 million children across five countries have benefitted from an improved school environment. For each girl that Camfed and its funders directly support through school, the CAMA alumnae network supports at least two more. And the charity's work is not just wide-reaching, it's also high quality. A large-scale evaluation of literacy and numeracy skills conducted on behalf of the UK's Department for International Development among marginalized girls in Tanzania and Zimbabwe found that CAMFED's work had more than doubled the rate of learning among these girls, versus their peers in comparison schools . CAMFED supports its alumnae network with leadership opportunities and platforms for their philanthropy and activism, enabling them to improve their own futures while giving back to their communities and lifting the next generation out of poverty. Supporting young women to scale their leadership, philanthropy and activism in support of girls' education is at the core of CAMFED's + – building on the incredible work CAMA is already doing. Funders such as the Queen's Commonwealth Trust are important partners for this. It also aims to improve outcomes beyond the classroom with work on agricultural productivity and sustainability and further spreading the skills, connections and assets young people in rural areas need to start up and grow their own businesses, creating new jobs. From primary school to tertiary education and beyond, improving the education of girls and young women has exponential benefits for health, communities and the wider economy. As CAMFED and women like Angeline have shown: "When you educate a girl, everything changes". At Credit Suisse, we take education seriously. We see high potential in supporting the case with impact investing and have developed relevant financial solutions for those who are keen to make a difference. Education also constitutes a large part of our philanthropic activities coordinated by the Global Education Initiative established 10 years ago.